Dev wakes up in the middle of the night with a nightmare and chooses to ignore it. However, imagine the surprise when these nightmares actually come true. 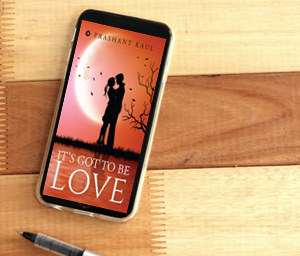 Dev, Vikram, Vaani, and Carol are the main characters of this story. The kind of love we know in college to the more modernized Facebook version is covered in the story. How does this love story evolve ahead? Read to find out. The bright colors add a spark to the cover of the book. The story explores emotions closely related to love and infatuation. The blurb of the book gives a clear idea of what to expect out of the story. The story has much more potential to it than what is patriated. Dev’s ability could have made a more unique plot for the story to stand on. The journey of the emotion of love is depicted well. The writing and narration are simple and a bit dull. You may read this as a one-time read.